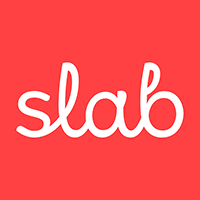 Slab is an internal wiki that teams use to document processes, policies, or projects. 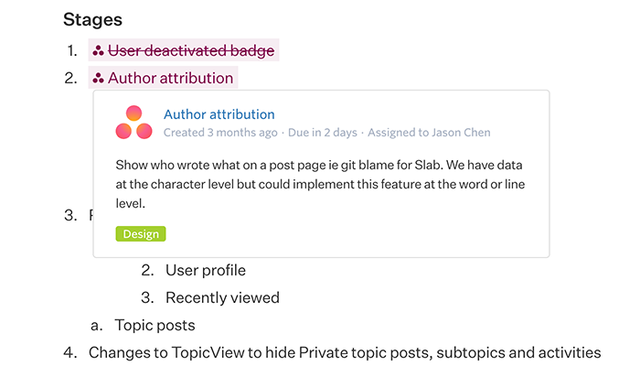 Often these include tasks, so users of Asana can have their links inside Slab enriched with Asana task details, like an auto-updating title and status, and a hover card that shows additional details. The card links to Asana directly if the primary source is needed. ver the most impactful errors with data and create Tasks in Asana instantly with rich data, contextual details and error analytics.